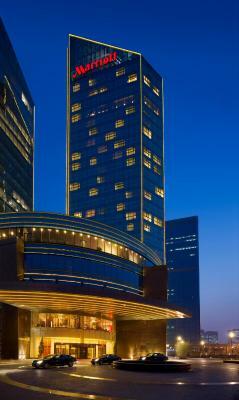 Lock in a great price for Beijing Marriott Hotel Northeast – rated 8.3 by recent guests! Clean, spacious, modern room. Beautiful bathroom with wonderful bathtub. Accessible restaurants and gym. Friendly staff. Great breakfast. Convenient Starbucks downstairs. The bed was very comfortable, including the pillows! The room was clean, they refill the complimentary tea and coffee every day. Special thanks to David for the good check in experience, I had two separate bookings, and I didn't have to change the room. I didn't have the time to use the pool, but it looked very nice. 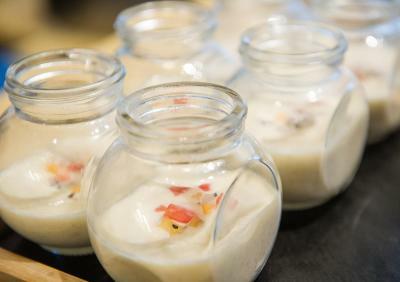 The breakfast was of very high quality, but buy breakfast with your booking to save money otherwise it is expensive. The rooms were clean and quiet, and the location of the hotel made it easy for booking of tours. For those coffee enthusiasts, Starbucks is on site. The breakfast buffet was awesome. 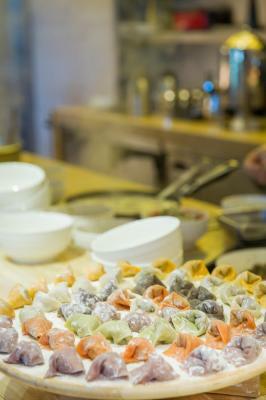 All different fresh juices (every single juice handmade), a huge range of different foods. 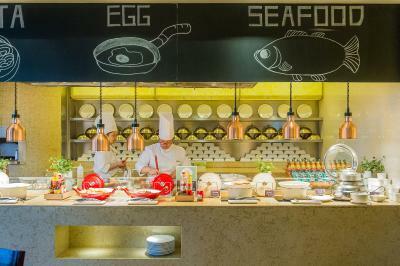 I could easy spend hours at the breakfast, it was really a shame that I used the hotel only for transit. Nice large and clean room, friendly hotel service. Live music in the bar. Airport transfer was also perfect. Unfortunately I had no time to visit the Spa or any of the restaurants, hopefully next time. Excellent location, at walking distance to US Embassy, spacious, clean rooms with comfortable beds, well stocked tea / coffee and mini bar, good spacious bathrooms with good toiletries. Free overnight parking is bonus. Great location, easy access to highways and subway station. The business lounge on 25 floor makes it easy to host client meetings. My room was excellent, with a well appointed bathroom. The hotel lounge is a great place to meet and enjoy live music. The staff were very helpful, particularly with tourist activities. 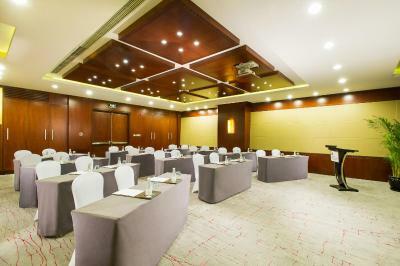 Located in Beijing's Third Embassy District, the heart of Chaoyang CBD, Beijing Marriott Hotel Northeast offers luxurious rooms with 42-inch LCD TVs. Liangmaqiao Metro Station (Line 10) is a 6-minute drive away. 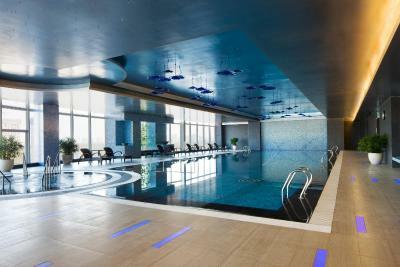 It has a heated indoor pool, spa, fitness center and 5 restaurants. Free Wi-Fi is provided in the public area. It offers welcome fruit platter for Booking.com guests. Beijing Marriott Hotel Northeast is an 8-minute drive from Sanlitun Bar Street and a 9-minute drive from Solana Area. Sanyuanqiao Subway Station (Line 10) is a 10-minute drive away, which provides Airport Express to Beijing Capital International Airport in 15 minutes. 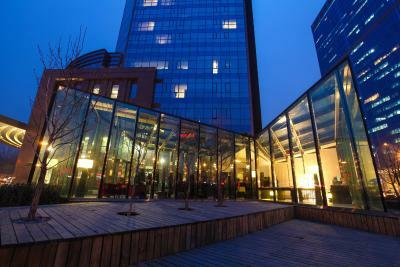 Beijing Marriott Northeast features rooms with views of the city and bathrooms with deep bathtubs and separate showers. Each room has an iPod dock, a 42-inch LCD TV, pantry area and first-class amenities. Massages, facial and body treatments are available at the hotel’s Schöne Spa. Wellness facilities include a hot tub, steam room and therapy baths. 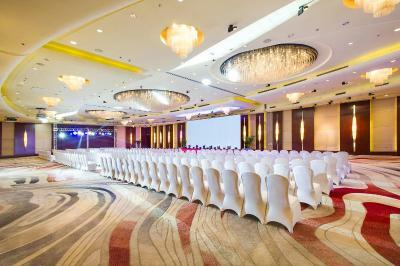 With 1600 square yards of meeting and banquet facilities, the hotel offers spaces for weddings and business meetings. 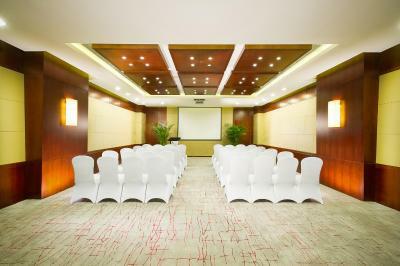 When would you like to stay at Beijing Marriott Hotel Northeast? Offering city views, room comes with a mini-bar, a flat-screen satellite TV, a radio, an iPod docking station, a personal safe and ironing facilities. It offers free newspapers and free gym access. The private bathroom has a hairdryer and a bathtub. 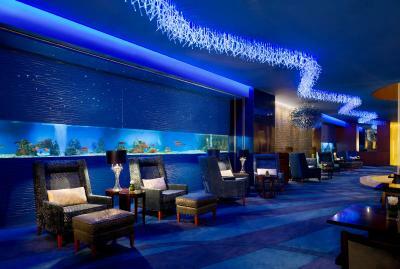 Guests are entitled to enjoy prestigious Executive Lounge privileges. Featuring city views, this room has a minibar, a 42-inch flat-screen satellite TV, a radio, a personal safe and ironing facilities. It has free newspapers and free gym access. The private bathroom has a hairdryer and a bathtub. Featuring city views, this suite has a separate living area. It comes with a minibar, a flat-screen satellite TV, a radio, an iPod docking station, a personal safe and ironing facilities. It offers free newspapers and free gym access. The additional bathroom has a hairdryer and a bathtub. 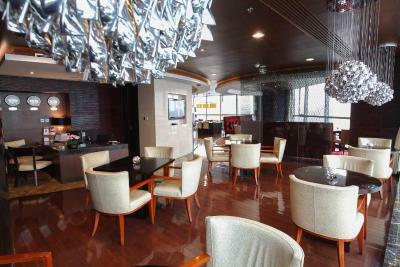 Guests are entitled to the prestigious Executive Lounge privileges. With city views, this suite features a separate living area and an audiovisual system. It comes with a minibar, a flat-screen satellite TV, a radio, an iPod docking station, a personal safe and ironing facilities. It offers free newspapers and free gym access. The additional bathroom has a hairdryer and a bathtub. 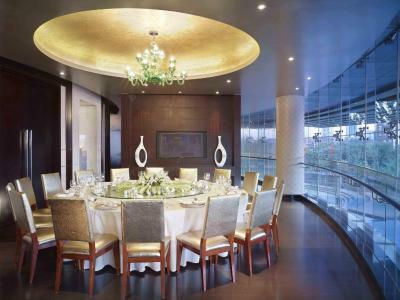 Guests are entitled to the prestigious Executive Lounge privileges. 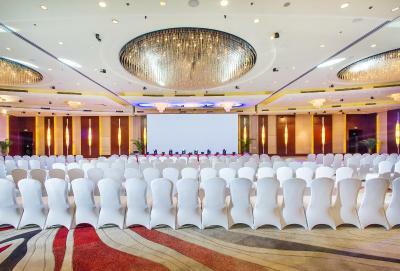 This spacious room features multi-connectivity units. It comes with a minibar, a flat-screen satellite TV, a radio, an iPod docking station, a personal safe and ironing facilities. 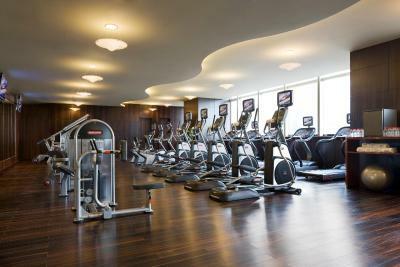 It offers free newspapers and free gym access. The private bathroom has a hairdryer and a bathtub. 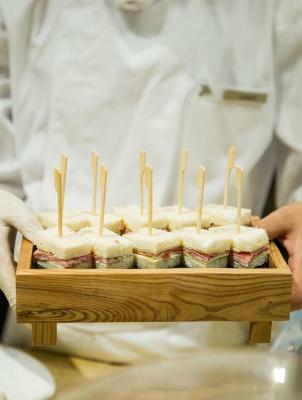 House Rules Beijing Marriott Hotel Northeast takes special requests – add in the next step! Beijing Marriott Hotel Northeast accepts these cards and reserves the right to temporarily hold an amount prior to arrival. Internet very patchy, basically didn’t work. Quite far from Beijing’s sights. 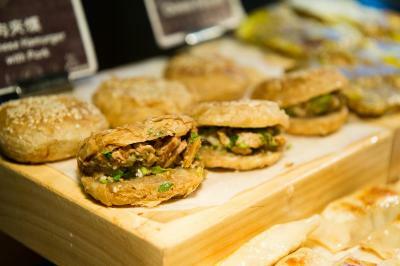 There's not much around the hotel in terms of F&B but if you venture out, you will find something. The location isn’t very convenient, the room and corridor are very dark, there are not enough lights in the room, even there is no lamp on the writing desk. Longer than usual check-in time, didn't accept debit card for security deposit, room decor looks a bit old and dull. Good location especially for business trips. They disregarded my booking preferences and tried to allocate me a twin room. Only when I made fuss did they honour my booking.